Catharine Maria Sedgwick (1789-1867) was one of nineteenth-century America’s most prolific women writers. She published six novels, two biographies, eight works for children, novellas, over 100 pieces of short prose and other works. Literary critics and historians have recognized her as a primary founder of a distinctly American literature, along with Washington Irving, James Fenimore Cooper and Sedgwick’s close friend, William Cullen Bryant. 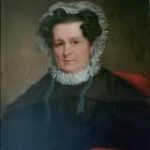 Catharine Maria Sedgwick, ninth child of Judge Theodore Sedgwick and Pamela Dwight Sedgwick, was born December 28, 1789 at Stockbridge, Massachusetts, in the house which her father had built four years before. While Catharine loved and respected her mother, Pamela Sedgwick suffered repeated periods of mental illness and does not seem to have been close to her daughter. 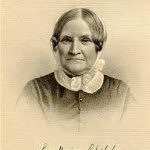 Catharine greatly admired her father, though he was often away for his political career, which culminated in his becoming Speaker of the United States House of Representatives. In his absence Catharine was surrounded by her many siblings. As a young woman, Sedgwick attended Payne’s Finishing School in Boston. Sedgwick was particularly attached to her four brothers, who encouraged her to write. Even when they had all married and become lawyers, her brothers remained the central figures in her emotional life. She passed part of every year in the family of one of her brothers, and was a favorite aunt to many children. Together they worked to sustain her often failing self-confidence, and assisted her with contracts and reviews. As a child, Catharine Sedgwick was cared for by Elizabeth Freeman, a former slave often called Mum Bett. Sedgwick’s father helped Freeman gain her freedom by arguing her case in county court in 1781. After winning her freedom, Freeman accepted the offer to work for the Sedgwicks for wages. Catharine is buried next to Mum Bett in Stockbridge. Much in demand, from the 1820s to the 1850s Catharine Sedgwick made a good living writing short stories for a variety of periodicals. 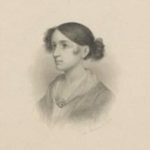 A writer of juvenile fiction, moral tales and domestic literature as well as numerous novels, Sedgwick was a well-respected literary figure in New England before the appearance of her novel Hope Leslie, now her most popular work. In her writings, Catharine Sedgwick shows a consistent tolerance for members of minority groups. 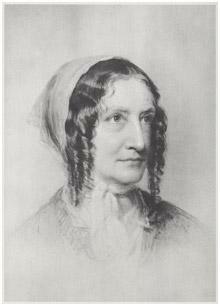 The hero of her first novel, A New-England Tale (1822), was a Quaker. A long section of Redwood (1824) concerns a Shaker community, and although Sedgwick analyzes the psychological pressures keeping members within the group, the religion is never condemned. Similarly, Hope Leslie (1827) shows a sympathetic understanding of Native Americans and their religious beliefs, based partly on the author’s research into Mohawk customs. Unlike James Fenimore Cooper, whose Last of the Mohicans appeared the year before Hope Leslie, Sedgwick accepts marriage between an Indian man and a white woman: the heroine’s sister, Faith Leslie, is carried into captivity as a child, marries an Indian, and refuses the opportunity to rejoin the Puritan community. Sedgwick may have been influenced here by the similar legend of her ancestor, Eunice Williams. Sedgwick’s fiction repeatedly emphasizes the political and personal need for liberty and independence. On two occasions Hope Leslie follows her own conscience and frees Indian women from unjust imprisonment. Both Hope and her Indian double Magawisca question political authority which does not include them: Hope, unable as a woman to work through the political system, defies it, and Magawisca denies a Puritan jury’s jurisdiction over her people. Sedgwick was immediately recognized as one of the writers creating an indigenous American literature. 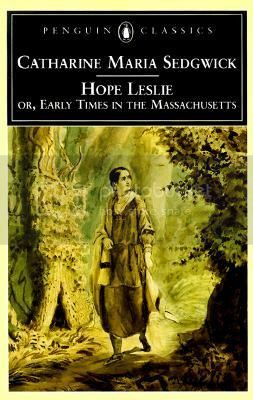 A New-England Tale was subtitled Sketches of New-England Character and Manners, and her novels, Hope Leslie, set among the Puritans, and The Linwoods, Or Sixty Years Since in America (1835), set during the Revolution, mingled historical events with fiction. In her work, Sedgwick also promoted the ideal of Republican motherhood – an attitude toward women’s roles in the emerging United States before, during and after the American Revolution (circa 1760 to 1800). It centered on the belief that the patriots’ daughters should be raised to uphold the ideals of republicanism, which stresses liberty and inalienable rights. Republican motherhood means that children should be raised to value patriotism and to sacrifice their own needs for the greater good of the country. Sons were encouraged to pursue roles in government, while daughters were more educated than they previously had been allowed in order to pass these values on to the next generation. Abigail Adams advocated women’s education in many of her letters to her husband, President John Adams. Redwood (1824) is the story of Ellen Bruce, a young woman of mysterious parentage, who learns that her father is the southern slave owner Redwood, who has been kept from her because of the anti-Christian beliefs he picked up by studying Voltaire and David Hume. The novel ends with Redwood’s religious conversion and Ellen’s marriage to a Southern gentleman. 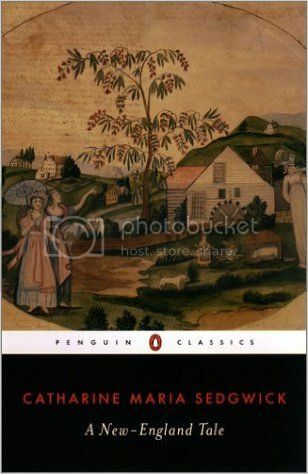 Hope Leslie (1827) is a historical novel that deals with such varied subjects as Puritan attitudes towards religion, women’s role in the new American republic and the relationship between whites and Native Americans. It also revises traditional notions of submissive womanhood by arguing that women must recognize their domestic sphere as empowering and act as agents for the preservation and promotion of moral values. This book earned a large readership and established Sedgwick’s reputation in both the United States and Great Britain. Clarence; or, A Tale of Our Own Times (1830) is a novel of manners – a literary genre that deals with aspects of behavior, language, customs and values characteristic of a particular class of people in a specific historical context. Clarence follows heiress Gertrude Clarence as she negotiates the perils of the marriage market in New York City. In this novel, Sedgwick often satirizes the privileged aristocracy to which her family belonged. The Linwoods; or, ‘Sixty Years Since’ in America (1835) is an historical romance concerning social life in New York City during the last two years of the American Revolution and the conflict between a Loyalist father and rebel son. It sheds light on American character and national identity in the early republic by exploring America’s relationship with Britain and France. Live and Let Live; or, Domestic Service Illustrated (1837) depicts the ideal workplaces for working-class women to develop domestic skills. Sedgwick’s expression of relations between mistresses and housekeepers reflects a return to aristocratic class relations, but one that includes employer respect for the employee’s humanity and political rights. Sedgwick wrote work in American settings, and combined patriotism with protests against historic Puritan oppressiveness. She created spirited heroines who did not conform to the stereotypical conduct of women at the time. 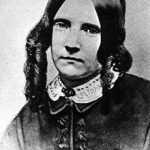 In her final novel, Married or Single (1857), she put forth the bold idea that women should not marry if it meant they would lose their self-respect (but she married off her heroine). Throughout her life Sedgwick was ambivalent about her position as a single woman. She is said to have refused more offers of marriage than almost any other woman of her time. They were made by statesmen, artists and musicians. However, she felt that she should devote her life to writing. She told a favorite niece that “so many I have loved have made shipwreck of happiness in marriage or have found it a dreary joyless condition.” Even in her final novel, Married or Single? (1857), she reveals her conflict. Catharine Maria Sedgwick remained single and died at the residence of her nephew William Minot, Jr. at West Roxbury, Massachusetts on July 31, 1867. Her funeral service was held at the Episcopal Church and her remains were followed to the grave by hundreds of loving friends and neighbors. She was buried in Stockbridge, where the burial markers of the Sedgwick clan are arranged in concentric circles known as the Sedgwick Pie. Catharine Sedgwick was the most famous and successful American woman fiction writer in the first half of the nineteenth century. Although she was neglected by scholars and critics for many years, Sedgwick’s work was rediscovered in the 1970s, and since then most attention has been focused on Hope Leslie; or, Early Times in the Massachusetts (1827).